Serve this cocktail and kick off your Christmas party with a bang. It has all the flavours of the classic winter warmer and can be made ahead to allow you more time to focus on your guests. 1. Remove large segments of peel from the fruit using a speed peeler. 2. Add to a pan with all the remaining ingredients, except the alcohol. Bring to the boil and simmer for 4 minutes to dissolve the sugar completely. 3. Takethe pan off the heat, add the red wine and grand marnier, and leave to infuse until completely cooled. 4. 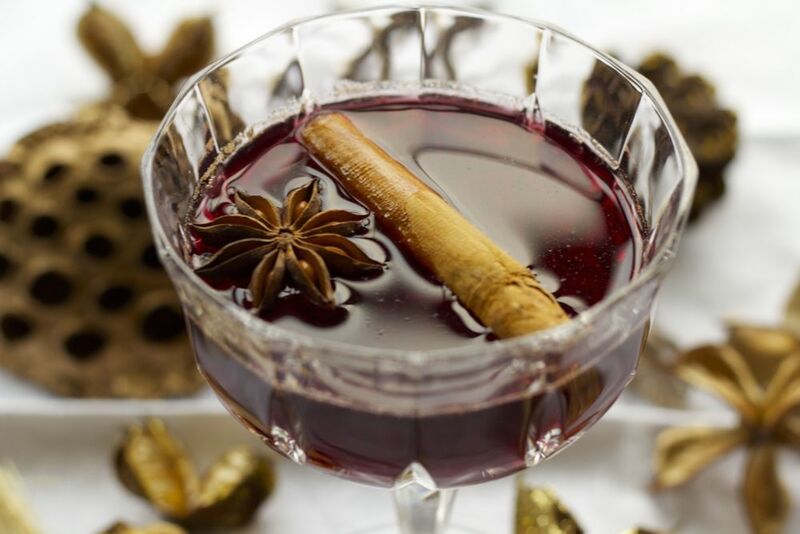 Garnish with a star anise and serve.